Brands include Oakley, Ray Ban, Wiley-X, Liz Claiborne, Guess, Hugo Boss, Nina Ricci, Liberty, Amphibia, Versace, Vera Bradley, Nicole , Jessica McClintock, and Harley-Davidson. Almost all of the sunglasses we carry can be made with your prescription. 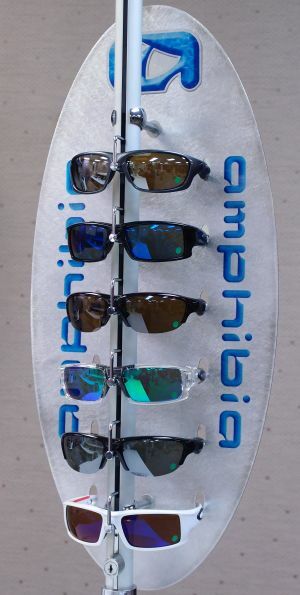 Many styles for fashion, sport, comfort, and eye protection. Polarized, wrap, fit-over and clip on sunglasses too. 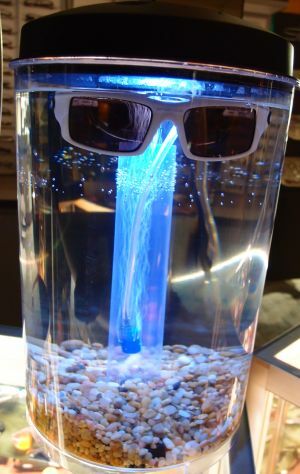 Over 250 sunglasses in stock. Oakley sunglasses and prescription eyewear dealer. Oakley sunglasses are known for their High Definition Optics, Iridium mirror coatings, Plutonite lens material with high impact protection, UVA, UVB, and UVC sun protection, and Hydrophobic coatings which sheds water, dust and oils to remain cleaner longer. We have over 100 Oakley sunglasses in stock as well as a full line of their prescription frames for daily wear. 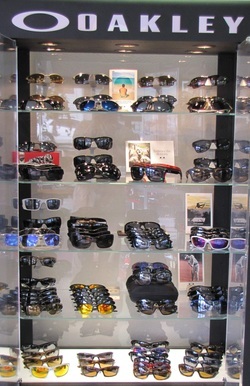 Many popular Ray-Ban styles in stock. Ray-Ban's famous glass G-15, polycarbonate polarized, custom or prescription lenses available in any color or changeable photochromic. Available in prescription. Some now Z87.1 safety approved! Wiley-X frames offer Z87.1 and Military Spec MIL-STD-662 safety protection. Liberty sport offers good looking frames for sports combined with impact protection and comfort. Some styles meet ASTM F803 standards for high impact sports like baseball, racquetball, basketball etc. Both offer styles with inserts to protect from wind and dust.